Why Does It Take A Movie Robot To Show What Nurses Really Do? : Shots - Health News If TV and movie nurses took care of us when we're sick, we'd be in a heap of trouble. Those images of nutty, slutty and clueless nurses are bad news for the profession, and for patients. 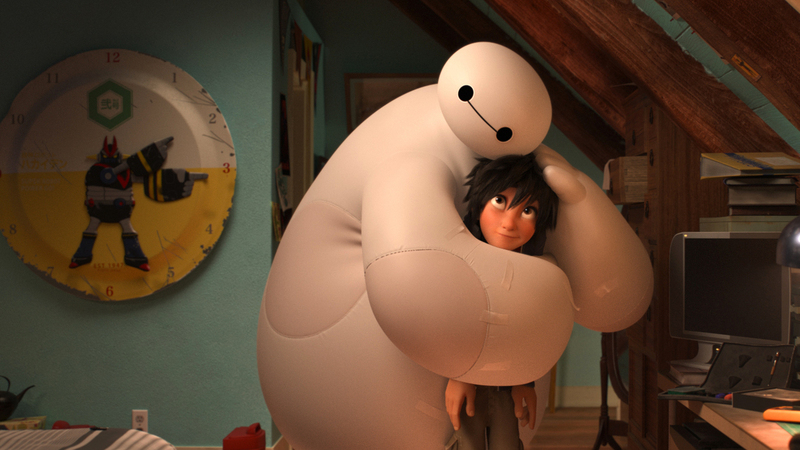 Baymax the robot nurse becomes Hiro's fierce defender in the hit movie Big Hero 6. "You know your profession has an image problem when you point to a balloonish animated robot doll and say 'Yes, that's good. That accurately reflects what I do on a daily basis. More representations like that, please.' "
Baymax's programming won't allow him to disengage until the patient has answered, "Are you satisfied with your care?" in the affirmative.